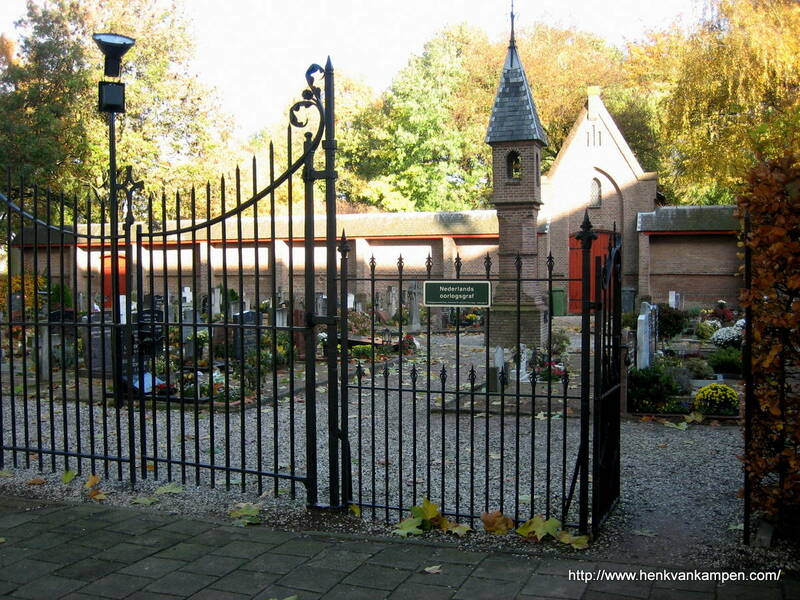 Last week I told you about new town Nieuwegein (founded in the 1970s), and I showed you around new cemetery Noorderveld (probably opened in the 1970s). Though Nieuwegein is only about 30 years old, there have been people living in the area long before that. 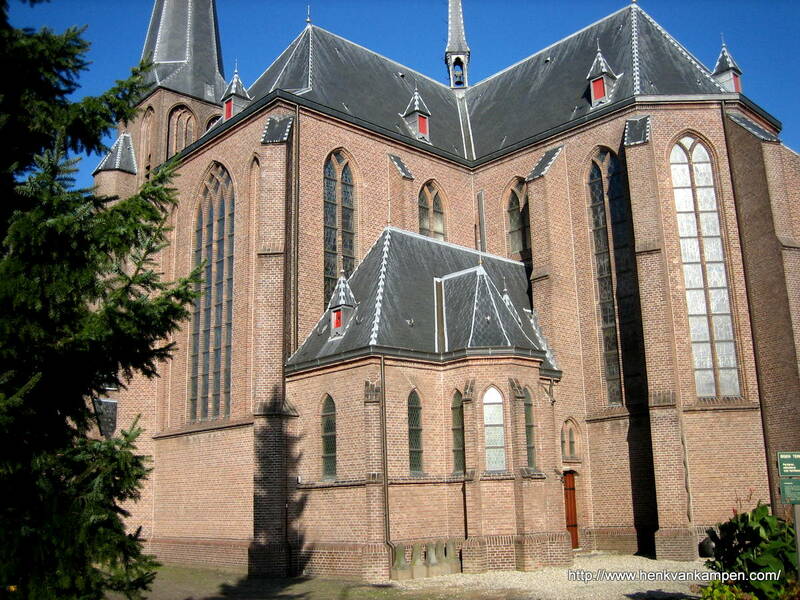 There were two villages and several farms in what is now Nieuwegein, and they have been integrated into the town. 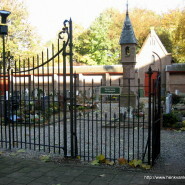 Both villages (Jutphaas and Vreeswijk) had two graveyards (a protestant and a catholic graveyard) and all four graveyards are still in use by the original inhabitants of the villages. 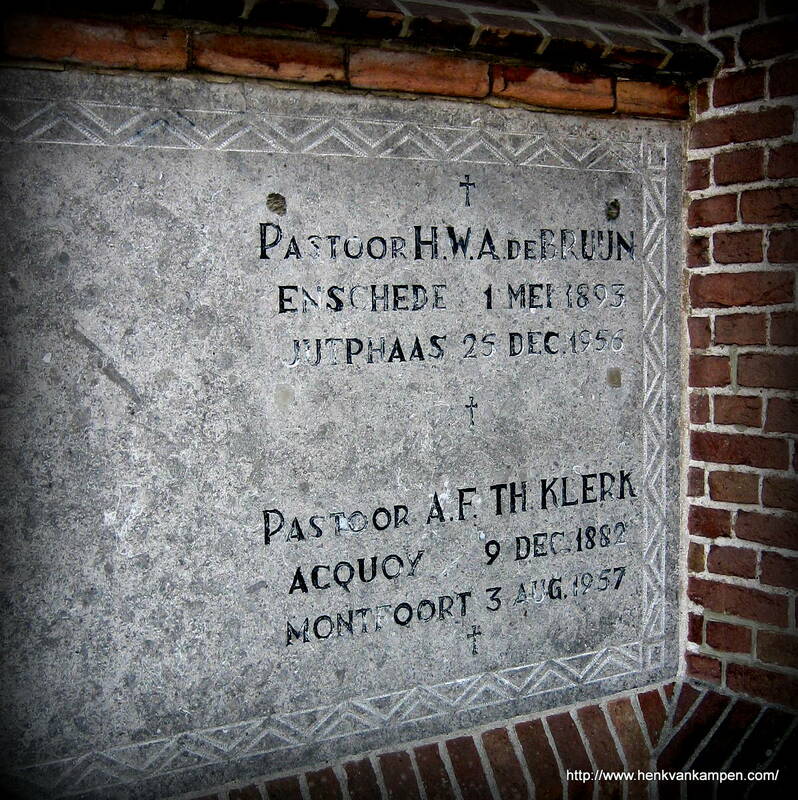 Today I will show you the catholic churchyard of Jutphaas. It’s a small, simple graveyard, walled in on two sides and fenced in on the other sides (but the gate was open to admit mourners, grave tenders and graveyard rabbits), right next to the catholic church. 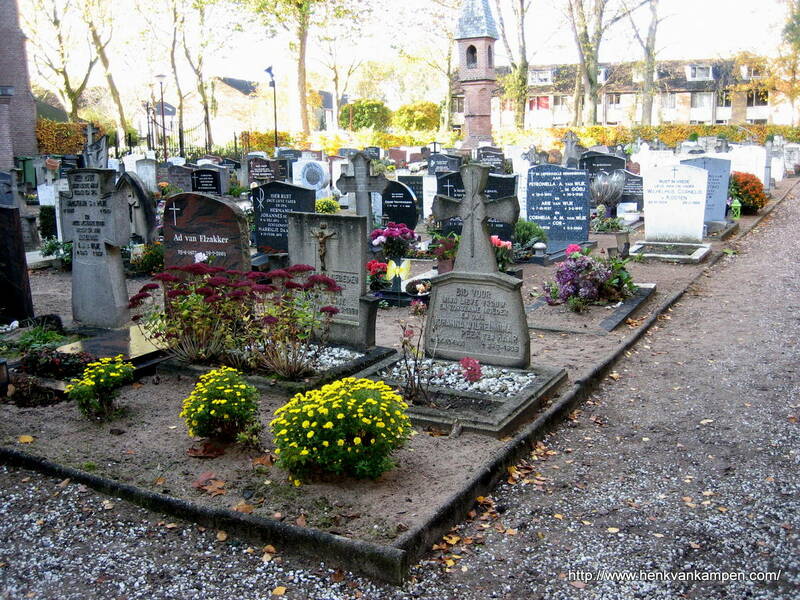 The oldest graves I could find were from around 1900, though the graveyard is a little older: It opened in 1874. On the eastern wall there are several memorial plaques of priests that served in this church and died in Jutphaas. There is a small door in that wall, apparently it gives access to a vault where the founder of the church is buried.